This Sunday will bring with it the proverbial good and bad news: Game of Thrones fans have a new episode to look forward to, but it will also bring us to the season 6 midpoint. Let’s choose to see the glass as half-full, though, because HBO has unveiled seven intriguing photos from episode 5, entitled The Door. If you’re not up to date on the series, watch out; thar be spoilers ahead. Season 6 shows no signs of slowing down with the latest episode. The photos show what appears to be a new red priestess, a confrontation, a terrifying vision, and more. All in all, they give us a glimpse of what 11 of the hit show’s characters are up to roughly halfway through the season. 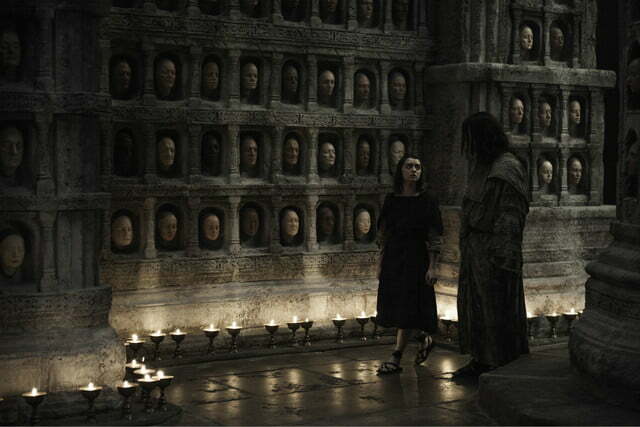 Tyrion doesn’t appear in any of the photos, so unfortunately, there’s no obvious hint of his new ally. We do, however, see each of the other three characters mentioned in the synopsis. 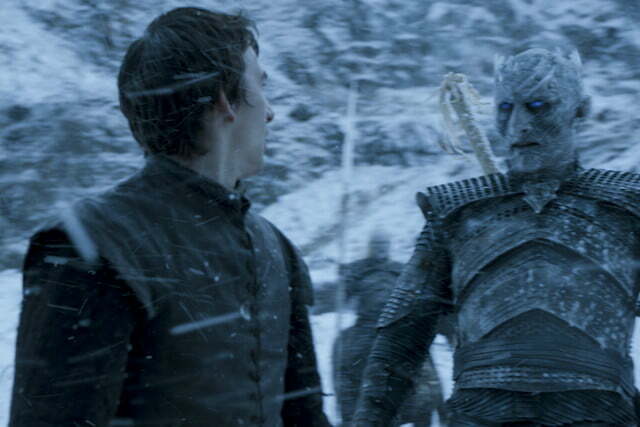 Bran, for example, is shown in the midst of a scary vision, complete with the Night’s King (Vladimir Furdik), so presumably there will be some portion of his quest involving White Walkers. 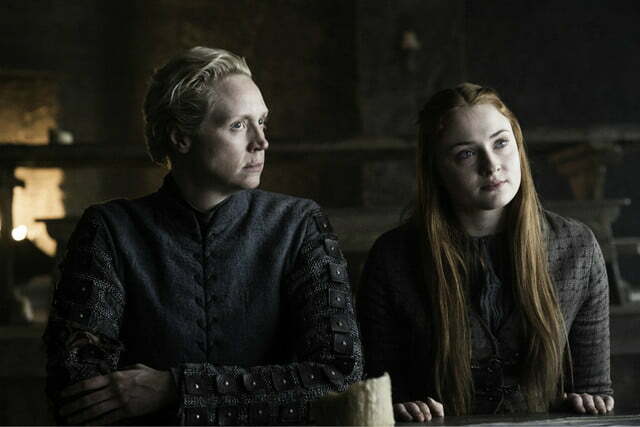 Meanwhile, Arya’s chance to prove herself appears to bring her to the Hall of Faces, and Brienne’s mission seems to again involve Sansa Stark (Sophie Turner), as they’re shown pictured together. 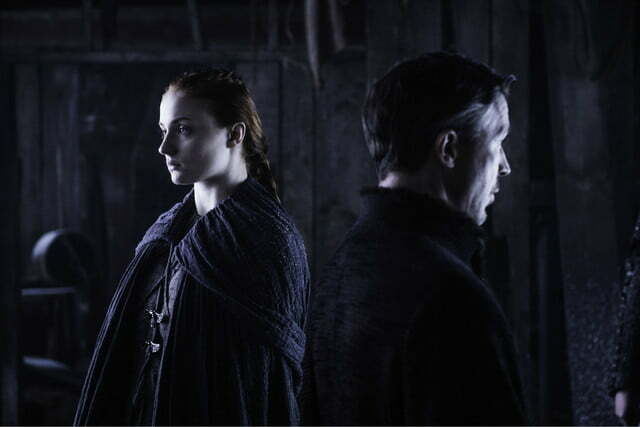 Although Sansa isn’t mentioned in the synopsis at all, she appears in two photos: the aforementioned with Brienne and another with the recently returned Petyr “Littlefinger” Baelish (Aidan Gillen). In the latter, the atmosphere definitely looks tense, so perhaps he’s answering for the horrible decision he made to marry her off to Ramsay Bolton (Iwan Rheon). 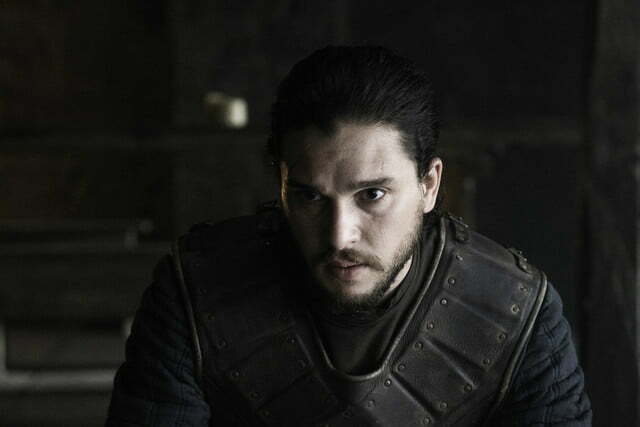 The photos also show Jon Snow (Kit Harington) looking quite intense, most likely contemplating his move on Winterfell, and a new priestess, Kinvara (Ania Bukstein), makes an appearance. 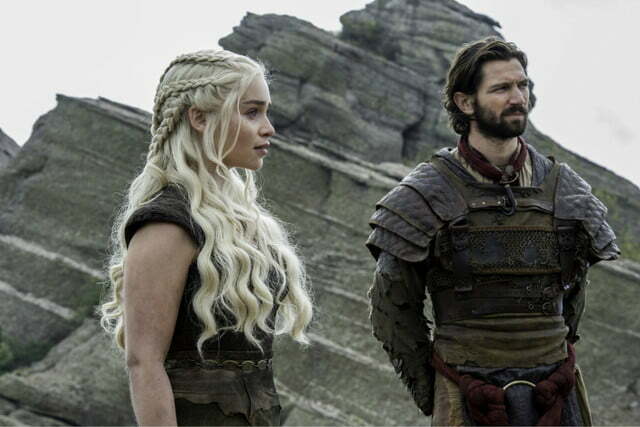 On top of that, we see Daario Naharis (Michiel Huisman) sticking close to Daenerys Targaryen (Emilia Clarke) in spite of her rebuffing his earlier rescue attempt. 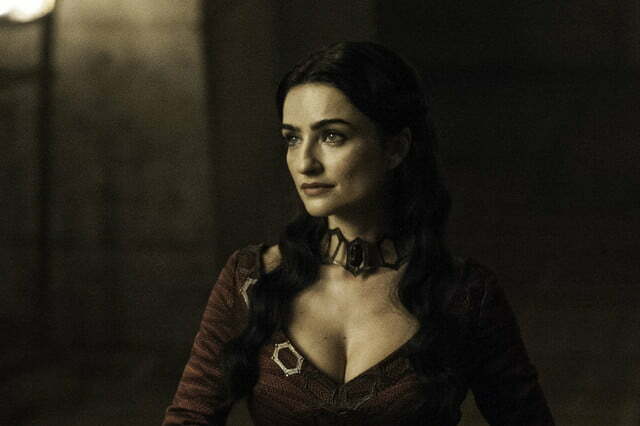 We’ll see it all go down in episode 5 of Game of Thrones season 6, which airs at 9 p.m. ET/PT on Sunday.